Henry Ford Health System's national search to replace retired Henry Ford Hospital CEO John Popovich, M.D., is over. The six-hospital Detroit-based health system chose Richard "Chip" Davis, who comes from Johns Hopkins Medicine, it announced Monday in a news release. Popovich retired this year after 43 years at Henry Ford Hospital, starting as an intern and rising to chief executive officer. Davis starts Nov. 15 at the 877-bed hospital and research center in Detroit's New Center area. It's the health system's flagship hospital. Davis will lead clinical and financial operations, and serve as senior vice president and CEO of the health system's south market: Wayne and Monroe counties and eastern Washtenaw County. Davis is president and CEO of Johns Hopkins Medicine's Sibley Memorial Hospital, the release said. There he led creation of the Johns Hopkins Sibley Innovation Hub, a team of designers, engineers and technology-savvy staff that aims to approach tough health care problems in new ways and assists with strategy, according to its website. 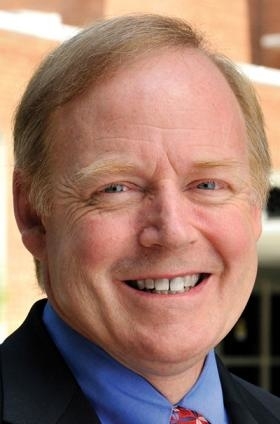 The Ann Arbor native worked for Johns Hopkins Medicine for more than 25 years, the release said, including as vice president of innovation and patient safety. He received a Ph.D. in public health from Johns Hopkins University. He also earned a master's in counseling and consulting psychology from Harvard University and a bachelor's in psychology from the University of Michigan. "Chip has an exceptional commitment to patient safety and a true passion for innovation," Bob Riney, Henry Ford Health System's president of health care operations and chief operating officer, said in the release. "That combination, along with his wealth of experience with and understanding of complex health care environments, including both academic and community medical settings, make him a perfect fit for Henry Ford." "Henry Ford Hospital names new CEO" originally appeared in Crain's Detroit Business.